The Pink Pirate sent me some stitch markers she makes after she saw the stitch markers I was using previously. Isn’t she wonderful? After getting them from the post office I quickly sat down to knit another row on my shawl so I could remove my old stitch markers. I think it’s much better now! 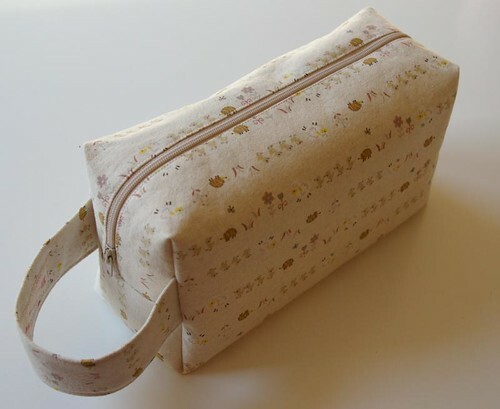 Finally setting up an etsy shop where I can sell my box bags! Ack! Too many beautiful things in one post! 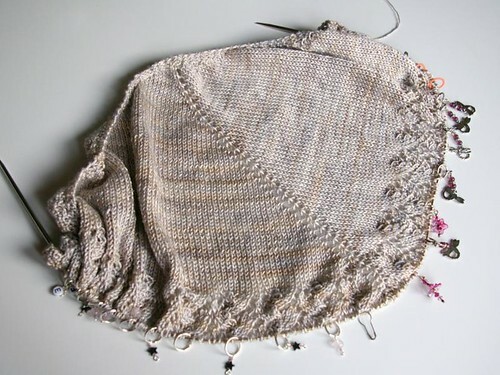 Seriously, your Ishbel has made me want to make one and I hardly ever make shawls. The Mod quilt turned out great. I love the back with the huge orange section – stroke of brilliance! 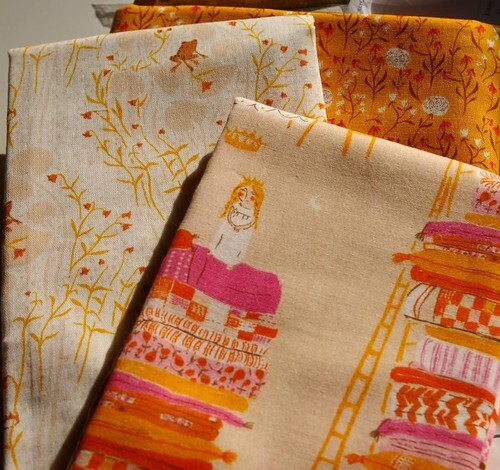 And now I’m off to search for some of that Princess and the Pea fabric. 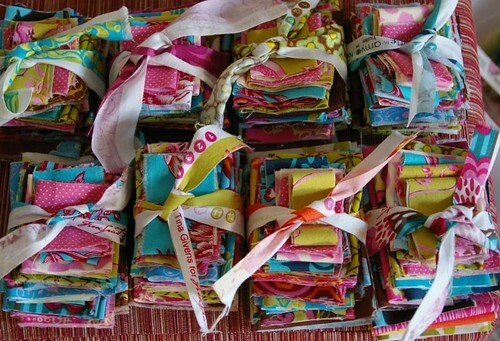 Look at how organized those little stacks of fabric are! Congratulations on the Etsy shop! Yay! I love the one I got from you and everyone has commented on how cute it is! :o) And I think the bag-fail looks good but I understand the need to get it *just right*. Ishbel looks beautiful and don’t get me started on those heather ross fabrics! have a great weekend! elaine. I love how you’ve got some piecing on the back of the quilt. 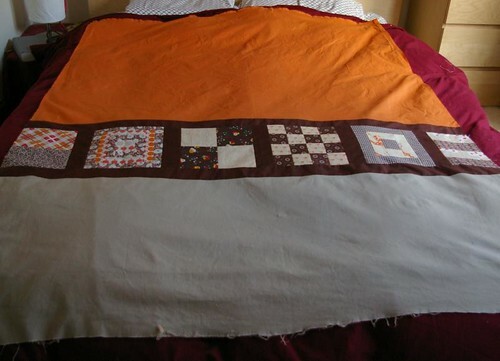 Most people put a plain back on their quilt but your’s has lots more pizazz. You are a crafting machine, girl! 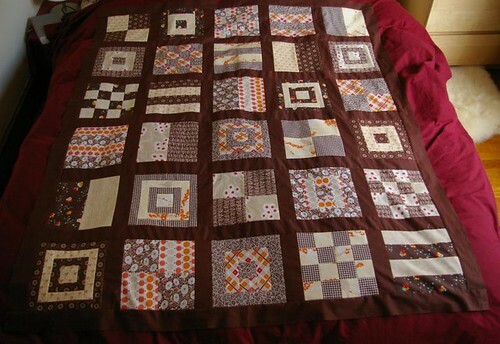 That quilt top is lovely and those fabric stacks…how wonderful!